Should the Wind Energy Industry Receive Tax Credits? The Production Tax Credit (PTC) expired on Dec. 31, and the wind industry is waiting to see if it will be extended, causing great financial uncertainty. The credit was extended on Jan. 1, 2013, for one year, but has been a source of contention in Congress. The uncertainty around the tax credit has made mid- and long-term planning in the renewable energy industry difficult because the tax credit has such a significant impact on the financial viability of projects. It has lapsed several times over the last 20 years and was extended at the last minute for 2013. The PTC is a 2.3-cent per kilowatt-hour credit for electricity generated by wind, geothermal and closed-loop biomass projects for the first 10 years of operation. It also credits 1.1 cents per kilowatt-hour of electricity for landfill gas, anaerobic digestion, hydroelectric, municipal solid waste, hydrokinetic power, tidal energy, wave energy and ocean thermal. There was a boom in wind farm construction in late 2012, as developers pushed to complete projects because the future extension of the tax credit was unknown. Despite the extension of the tax credit into 2013, wind farm construction was relatively slow over the year because many projects were pushed through in 2012. During the first three quarters of 2013, 2,400 MW of wind capacity were under construction, according to the American Wind Energy Association. By comparison, there were 8,400 MW of wind capacity under construction in the first three quarters of 2012. Although the PTC was designed to help the industry, it has created boom and bust cycles and made planning difficult. Is the PTC an important aspect of tax policy and should it be extended again? Opponents of this tax credit believe that renewable energy shouldn't get special treatment. If it isn't financially viable by now, it shouldn't create a tax burden for the American people. Although estimates vary, the extension of the PTC for 2013 could cost the taxpayers $6.1 billion over 10 years. Because renewable energy projects were disproportionately prevalent in Texas, Iowa, North Dakota and Oklahoma last year, these states received a larger portion of the pie, according to a study by Institute of Energy Research. California and New York were the largest "net payers," paying in $195 million and $162 million more than they received. The PTC originally credited developers 1.5 cents per kilowatt-hour between 1994 and 1999. The incentive has expired four times, creating boom and bust cycles in the industry. The current credit at 2.3 cents per kilowatt-hour keeps pace with inflation. Despite the increasing maturity of technology since 1994, the credit hasn't tapered off, as it has for the investment tax credit for solar energy. Some believe that the 2013 production tax credit was too generous and doesn't push the industry to innovate because there isn't an incentive for using new technology that has less known results. Some opponents of the tax credit have concerns about wind energy in general. People often raise concerns of bird fatalities at public hearings about the potential siting of a new wind farm. Although wind turbine advances have decreased fatalities, wind turbines kill an estimated .27 birds per gigawatt-hour of electricity. In some ways, the PTC has helped fill the void of a comprehensive energy policy that promotes energy diversity, economic security and low-carbon sources. The result is a patchwork of state policies, renewable portfolio standards, preferential tax treatment and tax credits. Proponents say the tax credit is keeping energy costs down -- reducing carbon emissions and boosting the economy. The oil and gas industry has many subsidies of sorts, such as the ability to lease public lands for oil and gas drilling. A recent report by the U.S. Government Accountability Office states that royalty rates for oil and gas drilling on public lands are too low. The fossil fuel industry already benefits from preferential treatment. The Congressional Joint Committee on Taxation estimated that three tax preferences provide $24 billion per decade in annual benefits to BP, Chevron, ConocoPhillips, ExxonMobil and Shell. 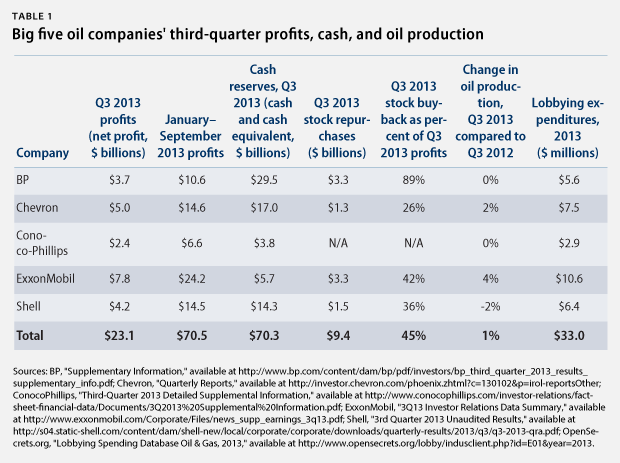 These companies earned $70.5 billion in profits in the first nine months of 2013, thus it is a highly profitable industry. If the oil companies receive tax preference, why not the wind industry? In addition, there are numerous external costs to fossil fuels, far fewer than renewable energy. Fracking has high external costs, and can contaminate drinking water, cause serious health problems, reduce productivity and put strain on public infrastructure. In some cases the oil and gas industry pays for these costs, and in many cases they don't. Society or government is burdened with the unpaid costs in the form of medical bills, infrastructure costs (water treatment facilities, roads, etc. ), collapse of fisheries (and related livelihoods), and loss of biodiversity. Although wind turbines do kill birds, they are responsible for far fewer bird deaths than other forms of energy. Nuclear power plants kill .6 birds per GWh (2.2 times the deaths associated with wind power) and fossil fuel power plants kill 9.4 birds per GWh (38.4 times that of wind power). 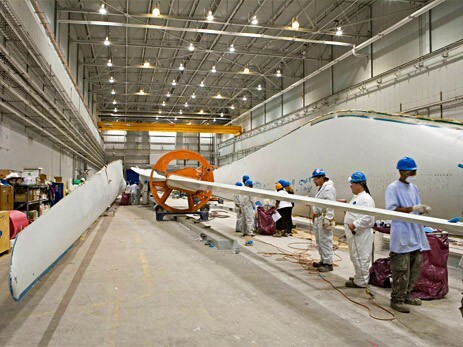 The boom and bust cycles of wind energy development need to end, as they make it particularly difficult for wind turbine research, development and manufacturing to get a strong foothold in the country. Stable, long-term policy would make this possible. Since the energy playing field is anything but level, with lots of external costs and subsidies for fossil fuels, a long-term and stable incentive would benefit everyone. Slowly tapering off the tax credit over a decade or two according to an announced schedule would give developers, manufacturers, investors and utilities information to plan more than a year in advance. Unfortunately, the only option being discussed is a one-year extension of the tax credit or no credit at all. At least there is 6,000 to 10,000 MW of capacity in the pipeline, projects that broke ground in 2013 when the tax credit was still intact. <a href="http://www.sarahlozanova.com">Sarah Lozanova</a> is a green copywriter and communications professional specializing in renewable energy and clean technology. She is a consultant for Sustainable Solutions Group and a regular contributor to environmental and energy publications and websites, including Mother Earth Living, Home Power, Earth911, and Green Builder. Her experience includes work with small-scale solar energy installations and utility-scale wind farms. She earned an MBA in sustainable management from the Presidio Graduate School and she resides in Belfast Cohousing & Ecovillage in Midcoast Maine.